This is another refection on the thought-provoking book Flow: The Psychology of Optimal Experience. In discussing leisure time, Cziksczentmihalyi observes that people experience the optimal emotional and mental state of flow fairly often at work, and yet they long to go home from their jobs and have leisure—where they tend to waste time. It’s strange how we tend not realize what makes us happy. “Free time … is unstructured, and requires much greater effort to be shaped into something that can be enjoyed. Hobbies that demand skill, habits that set goals and limits, personal interests, and especially inner discipline help to make leisure what it is supposed to be—a chance for re-creation.” Instead, many of us waste that free time on things that ask little of us, imagining that passivity will bring happiness. Cziksczentmihalyi mentions frequently throughout the book that if not given focus, our minds tend toward entropy and so do our relationships, and he is especially critical of excessive television-watching as an entropic behavior. He says we spend many hours watching athletes rather than engaging in sports, and “watching actors who pretend to have adventures, engaged in mock-meaningful action. This vicarious participation is able to mask, at least temporarily, the underlying emptiness of wasted time.” The book was written prior to the development of binge-watching Netflix, an extreme example of the peculiar appeal of this kind of wasted time. 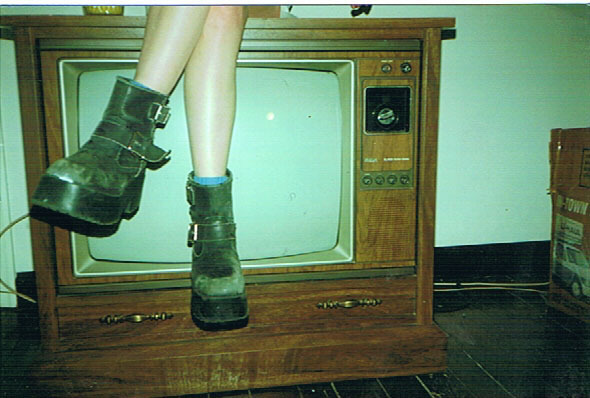 Can you imagine a TV show in which the characters spent a lot of time watching TV? That would not be an entertaining story. Fictional characters are engaged in challenges all the time. That’s what interests us. Conflict, challenge, growth and change. Flow activities make us deeper, stronger, and more complex, whether we are reading, dancing, gardening, talking with family and friends, engaged in community activism, or making art and music, and they result in something we can share that adds to the quality of others’ lives as well as our own. Blogging about a book as I progress through it is a new approach—but this one is making me think so much I had to share the thoughts before finishing. The story begins with a green chile and cheese soufflé—spicy, light and airy, and at risk of sudden collapse, setting the tone for a comic culinary mystery. 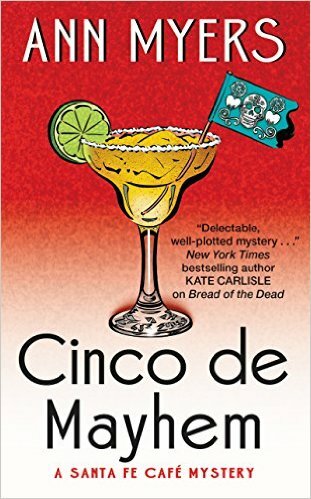 Rita Lafitte and her colleagues at Tres Amigas, the Santa Fe café of the series title, get involved in solving a murder again. The victim is a petty, arrogant bully, a restaurateur and food cart operator who made enemies of all the other food cart owners in the city. Not an easy death to care about except that a friend of Rita’s is being framed for it. Linda Santiago, the unlucky accused, is a wonderful, original character from the first book who doesn’t fit any mold or any of the standard roles in a comic mystery. Another complex, intriguing and believable character is the multi-faceted Don Busco, hotdog vendor and raconteur. Others are more broadly drawn and provide great comedy, especially Addie, with her delightfully eccentric fantasies of being British, and eighty-something Flori with her flirtatious ways, her sleuthing hobby and her new fascination with Sun Tzu’s Art of War. They are wildly colorful, but not to the point of being impossible. Someone just might feel free to be that odd in The City Different. It was good to see Rita still connected to the memory of Victor from the first book in a natural flow of her personal story from one book to the next, and to watch how her budding romance develops. Her relationship with her daughter is an ongoing part of the series that adds depth and realism and of course the inevitable humor and conflict of parenting a teenager. I got a kick out of the arrival of a flamboyant professional thief and his role in the plot. With the high rate of burglaries and thefts in Santa Fe, he may have strong future in the series. There are only 2 or 3 murders a year, but people like him have a thriving occupation. The setting is brought to life, though only a very small portion of the city is featured. The writing is tight and polished, digressing only for the food-related tidbits that narrator Rita and culinary aficionado readers would find irresistible. With several subplots and red herrings, the plot was paced to keep to me turning the pages even after I figured out the killer’s identity. The revelation scene was the only weak point. Even though almost every mystery handles it this way, I’m not a fan of this particular genre convention and love it when authors find another option for getting closure on the crime. The final ending was satisfying, however. And of course, there are recipes for some of the foods featured in the story, including the thematic soufflé that frames the tale. To learn more about the series, you can read my review of Bread of the Dead and my interview with Ann Myers, and check out her web site.